University Honors students must take eight Honors courses total by the time they graduate. 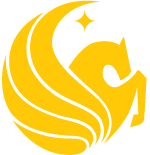 Students must also maintain a 3.2 UCF GPA and a 3.0 Honors GPA and uphold the tenets of the Honor Code to remain in good standing with the Burnett Honors College. Please contact the Office of Honors Advising if you have any specific questions about Honors requirements, including when courses will be offered and possible substitutions. Note: ENC 1101 & ENC 1102 must be taken in Honors sections if you do not have alternative credit for them at the time that you are admitted to the University Honors program. Note: Extra upper-division courses may substitute for lower-division courses. Note: Completion of the Honors in the Major program will satisfy one upper-division Honors requirement for any major. Please contact the Office of Honors Research (honors.ucf.edu/research) for more information regarding the application process for this program. Note: Students pursuing University Honors in two degrees must complete an extra Honors upper-division course or interdisciplinary seminar. Note: Recommended majors in parentheses. However, all CECS students are permitted to use any of the above courses to complete University Honors requirements. *Note: EEL 3004C (Honors Electrical Networks) is an acceptable substitute for EGN 3373 (Principles of Electrical Engineering) for Mechanical, Aerospace, and Industrial Engineering majors. You may take either class to fulfill this major requirement.